This could be the most important thing you read all day. Wireless microphones and in-ear systems that use the 600 MHz band, in the United States, will soon be doing so illegally. In some cases, they will stop working. The good news is I’m here to help. The United States Federal Communications Commission (FCC) auctioned off airspace in the 600 MHz band, originally available for using wireless microphones, to companies including cellular internet providers. Users of wireless systems like microphones, in-ear monitors, and intercom systems were told to vacate the space or face fines and criminal sanctions. Originally, they said we had until 2020 to replace our gear and stop using the equipment. But then, buried in fine print, it said UNLESS the auction winners start using that space, in which case we needed to vacate that space immediately. Guess what happened? Thanks, T-Mobile. Specifics: The auction resulted in frequencies from 614 to 698 MHz being auctioned to companies, including cell phone companies like T-Mobile, or being otherwise unavailable for our usage. Ya’ll have a similar problem but I don’t have the dates and details on it. Check your govt’s web site for more information. Is this really impacting the church? YES! Churches across the US are already replacing their equipment because of the new airwave usage as their equipment stopped working or had problems directly related to interfering with new airwave ownership. Before we start throwing stones, we must recognize the growth of wireless technology and our love of checking email, Facebook, Instagram, and even remote mixing comes at a price. What will my microphone do if T-Mobile starts using the space? So will your microphones really stop working if someone starts using the 600-band in your area? You’ll be subject to either non-stop interference or you’ll be open to the possibility of interference during usage. In my book, that renders the microphones useless. If there’s a possibility of interference then I’m replacing the microphone. Are you willing to risk interference during your church service? During the sermon? Oh, and if (when) you’re caught, you’ll be fined and criminally sanctioned. Maybe you’ll get a warning, though. Maybe. “Fix that headlight tomorrow to avoid a traffic ticket.” One can hope but I wouldn’t bet on it. If you really want to read the details about the 600 MHz ban, check out the article on the FCC website. First, there’s some relief in sight. Some of the pro audio companies are providing rebates on wireless microphones. If you have microphones that use the 600 band, the below companies are willing to cut you a break. Links are to their rebate pages. Just beware the rebates are ending soon so take advantage of them before they run out. Trust me, they don’t like it any more than you do. Some even petitioned the F.C.C. against the ruling. I know people at some of these companies, including Sennheiser, and they aren’t happy about it either. But, given all of the ways airwaves are used – and you wouldn’t believe the thousands of way, this auction isn’t much of a surprise. Here’s the kicker, you’ve got to explain this to your priest, pastor, elder, or whoever controls the finances so you can buy the replacement equipment. How do you explain it to them? How do you convey the facts and the urgency? I’ve got you covered. Click the link below for a custom letter I’ve written just for that purpose. You can edit it, sign it, do whatever you want, but it’s your copy for FREE. It explains everything, in a non-technical way, so the church official understands the impact and the urgency of the matter. Or get the plain text here. Do we need new microphones?? The 600-605 is good but the other will need replaced. I’m not a tech person at all and so I’m a little confused. Both those series of numbers are on the back of the receiver. Same microphone not two different ones. Let me know the model and I’ll find out. It can tune to either ranges so you need to replace it. Sorry. Hi, how do we find out if the Seinheisser EW-D1s that we have will be affected? Thanks. Check the wireless receiving unit which should have the frequency range stamped in the back, or on a sticker. 598.265 range are the legal? Will they work? Those are good. The lower limit is 614. I have 3 mics in 554 and 555mhz. That are constantly indicating RF signal even when no mics are on. The mics on those frequencies are basically useless because of interference even though they’re in the “safe” range. Any ideas why this might be? Thanks. You might be picking up interference from something else in the area. I’ve seen this before. Scan for free channels on each mic and you should be good to go. Anything I can do with old 700 MHz systems? Any way to get any value out of them? Selling overseas? You could try overseas but you’ll spend a bit in shipping. Read all the comments and your answers. Thanks. Am I OK using these units ? I appreciate your help and information. Thanks!!!!! That does not include the 500 MHz. band does it? One other thing worth noting, the FCC has required that all those selling a wireless system that operates in the 600 MHz band disclose the pending obsolescence of the system in the sale documents. This seldom happens. Some of the sellers on eBay disclose the band that the system operates on. Others appear to be oblivious to the operating frequencies. I don’t recall ever seeing an notice of obsolescence on any eBay listing. And now, to further muddy the water, the FCC says that it will be OK to use unlicensed wireless mics in the “Duplex Gap” which roughly covers 657 to 663 MHz. There is more to it than just that bandwidth, but that bandwidth is what I am concerned with. Some of the microphones that we had been using operated in the 555 to 680 MHz region. Some of the channels would be in the 657 to 663 MHz Duplex Gap. From what the FCC has said, it should be legal to operate those wireless microphones on these frequencies, but not on the ones outside the Duplex Gap. This is fine, as long as the microphone shows its actual operating frequency, but not so fine if it shows channel 1, 2, 3,… Etc. In that case, not knowing the actual broadcast frequency and not having a way to disable the channels outside of the Duplex Gap, leaves a big opening for problems. 555 to 680 MHz should read 655 to 680 MHz. Hello, Bill. You said: “From what the FCC has said, it should be legal to operate those wireless microphones on these frequencies, but not on the ones outside the Duplex Gap.” Is there a document/website you can point me to regarding this? When I first realized I could configure my equipment to operate within the acceptable frequency range (inside the Duplex Gap), I was hoping that was all I needed to do–and would not have to replace the vast majority of equipment for my small church. However, I spoke with a representative from one manufacturer who informed me that it is not HOW you use the equipment that is illegal (i.e., outside the acceptable frequency range). He said that the equipment itself is illegal, because it CAN operate outside the acceptable frequency range (making it a necessity to replace the equipment). So it’s not HOW you use it, but simply because you have the ABILITY to use it illegally that requires replacing equipment. Based on your comment, that may not necessarily be the case, so I am definitely interested in arming myself with anything the FCC may have said to the contrary. For those with hardware that only has channel designations (for which the individual frequency cannot be configured)………I know some manufacturers have information for what frequencies are used by certain channels. It may take a little digging, but this could save folks from having to replace all of their hardware. Thank you. I don’t recall exactly where I saw the comments about operating within the duplex gap, but I am reasonably certain that it was in one of the FCC documents and shouldn’t be difficult to find. I think that I googled “duplex gap” and found it. I don’t recall seeing anything that said that the equipment itself was illegal to own, only that it couldn’t cause interference to the licensed operators in the bands. If it doesn’t cause interference, it’s at least usable until mid 2020. Part of the problem operating in the duplex gap is that much of the wireless equipment is not configured by frequency, but by channel numbers within a larger band. That makes it difficult to know that you are actually operating within the duplex gap. I do recall seeing some limitations as to the power of the wireless microphones that can operate within the duplex gap. 660 to 663 MHz is the usable portion of the duplex gap and that’s only 3 MHz bandwidth. That won’t allow much room for many wireless channels. whether existing microphones that are capable of operation above 663 MHz can be used in the duplex gap after the July 2020 cutoff date. It is clear that the equipment can’t be legally sold without a notice to the buyer of the date after which it can no longer be used. I believe a straightforward reading “must cease operating on these frequencies” means it’s it should be OK to use them. My intention would be to label ours clearly concerning the illegal frequencies. Note also it looks like there is a 20 mW power limit in the duplex. That means my systems would all need to be switched to low power. All that said. I”d really like to know if the FCC agrees with my analysis. My church wants to do it right and be legal, but I hate to tell them to get rid of two fairly new $500+ units that could be programmed into the gap if it is legal to use them this way. However, I’ve had two sales reps tell me our units are illegal because they CAN be tuned to the illegal-to-use frequencies. I take that with a grain of salt since their job is to sell new units. ………Does anyone know for sure? They are correct. Because the units CAN be tuned to the illegal frequencies, the units themselves have to be replaced. Like Chuck, I read the FCC rules extensively and found that unlicensed use in the “duplex gap,” specifically, between 657-663 and at less than 20mW (which I can control for both frequency and power using the Audio Technica ATW-3000 series). In fact, if I preset them to the appropriate frequencies and power now, then they will never even begin to operate outside of those ranges. I’m hearing the sales companies say that the equipment must be destroyed, but I’m not seeing that anywhere on the FCC site. Where is that directive? Certain frequencies in the 600 MHz duplex gap: 653-657 MHz for licensed use or 657-663 MHz for unlicensed use. Additional frequencies outside of the TV bands also are available for wireless microphone use. Unlicensed wireless microphone use is permitted on the 902-928 MHz band, the 1920-1930 MHz, and on portions of the 2.4 GHz and 5 GHz bands under specified power levels and rules for operation for each of those bands. Licensed wireless microphone use is permitted on several other spectrum bands, including on portions of the 900 MHz band, the 1435-1525 MHz band, and the 6875-7125 GHz band. What specific wireless mics are affected by the transition? 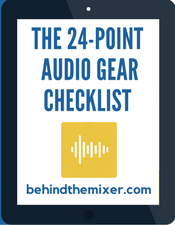 To determine whether the transition affects the continued use of particular wireless mics, operators will need to know the specific frequencies that are used by their mics. Contacting the manufacturer may be the most effective way of determining whether a particular wireless mic is affected by the transition and may need to be modified or replaced. Additionally, information on the frequencies used maybe be provided in the user manual of the particular model. Unlicensed wireless mics must not be operated at a power level in excess of 50 milliwatts when operating in the TV bands, and no more than 20 milliwatts when operating in the 600 MHz guard band or duplex gap. Users are advised to consult their owner’s manual or other materials provided by the manufacturer or distributor to determine the output power of their wireless mics. Hi Chris, thanks for your informative article and heads-up on losing our 600 band wireless mics. I attempted to grab the sample replacement letter from your above link but it takes me to something else wanting me to sign-in to Google account. Huh? Could you post the letter or send it to me? I don’t have Google account. Does this include cordless microphones? Our pastor uses microphones that uses batteries. Yes, cordless is the same as wireless as the microphone has a built-in transmitter that sends a signal to the receiver. What is the sound engineers liability if the Pastor/Board opt to not replace offending systems? I have been pushing this issue since it first hit the interwebs, but have been met with deaf ears. If I continue to mix for my church, do I run the possibility of getting roped in by the FCC if things go sideways? Or do I need to dig my heels in now? Wayne, if the pastor/board is outright saying, “we will operate the microphones illegally after the 2020 deadline” then they are choosing to act immorally and illegally. Are you ok with being a member of their church at that point? Big deal! You’re supposed to have an FCC license for GMRS too but nobody does. If it still works I will use it! 13 Years ago, I had the dilemma on what to do with my Lectro, Sennheiser, Sony systems for the 3rd time, in a similar situation. I went back to my original VHF packs for film production sets. I now use my original NASTY Cordless, later NADY/Shure, Sansom/Shure for live performance. These seldom experience interference and have had very good range indoors and out up to 115 yards so far. Before spending what you have over the last decade and more, try a little of the older tech. Thank you very much for bringing this to our attention otherwise we would have no idea this was going on. Did the FCC ever make an announcement for public comments on this before they sold the frequency bands? Did they have the right to sell the frequency bands that are already being used? We need to yell, scream get the word out to everyone. Who is going to pay for replacing all of our equipment? We need to sue the government or at least sue T-Mobile. When was this written? I was sent this by a congregation member. Based on all I’ve read before our church HAS some time. But without a date on this post I do not know if something has changed recently and that I now need to spend time again investigating this. The date for this is 20180308. The one blaring question is: what to do with perfectly good wireless systems? Are there other countries having the same issue and looking for donations? My greatest concern at this point is, we’re spending money, significant sums to switch to another band range. I think those bands are currently unregulated bands, just like the 600Mhz band was until the FCC Auction. Isn’t it likely that WHEN (not if) the wireless phone industry needs more frequencies that we’ll be forced to do this all over again (and again, and again…)?